Guest columnist for various newspapers in India, certified wine specialist, and a succesful career holder in the Indian entertainment industry, Rishi Vohra recently relocated back to Mumbai after completing a Green MBA. Once Upon the Tracks of Mumbai is his first novel. The picture of a young couple set against the bright background of the busy railway tracks of Mumbai promise a good love story and that too a realistic one. The back cover promises the same; along with the story of Babloo fighting to make a place for himself in a world where he is an outcast, owing to a nature people took as psychotic. The reference to the mysterious 'Rail man', its hinted connection with the protagonist gives an interesting tweak to the gist on the backcover and would want you unravel more into the story. Babloo is treated like a a psychotic, schizophrenic guy by everyone- his family, doctors, teachers... Everyone except Vandana- the girl whom he loves with all his heart and soul. Unable to speak his heart out, Babloo struggles to make a place in the heart of the girl he loves, falling prey to the evil plans of Sikander, your typical street-side loafer with flashy things and a nasty mind. Vandana, on the other hand is in search for her true soul mate who would rescue her from the confines of the Railway Colony they all live in. Bound by shackles of conservative parents, a society that is too busy poking nose and judging her in everything she did, and a pervert for a boss; this romantic hope in her heart was the only thing that made her day course by. To her horror she finds herself facing a possible marriage with a guy chosen by her parents(Babloo's younger brother) whom she wouldn't have even considered as her life partner otherwise. No amount of persuasion could change her parents firm stand and despair was all she got. It was then that a friendship with Sikander struck up and the person she had loathed all her life started seeming as someone worthwhile in all her innocence. Meanwhile Babloo, is driven by the agony of not being able to express himself and seeing Vandana treat him like any other friend of hers. He seeks help in Rail Man- nothing short of a superhero character but a simple act fighting crime and dishing out justice becomes big and messy. Caught in a maze of family, police, court and irrevocably love, Babloo finds himself face to face with the greatest challenge of his life. Will he win? Will his love win? 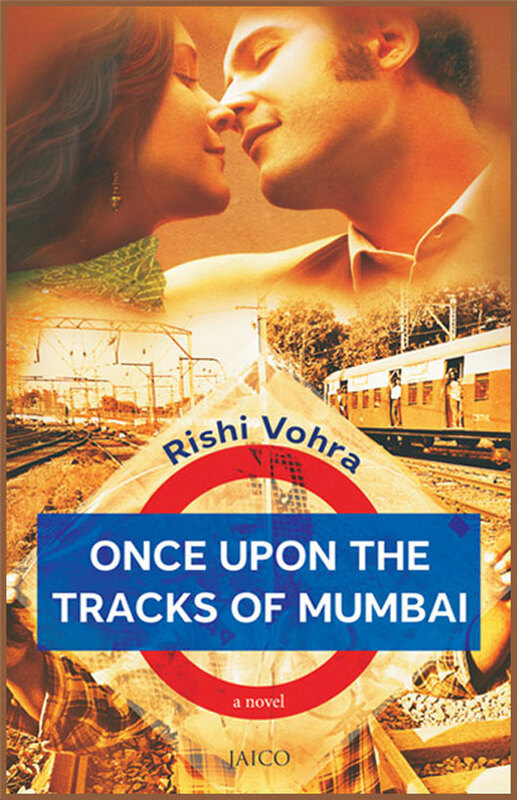 Once Upon the Tracks of Mumbai is a reality driven story, hence the characters are extremely realistic and easy to relate with. Rishi Vohra does a great job of describing the Indian middle class society- the stereotypes, the reservations, the fear of exposure, the continuous threat of having your status upset in public. The writing style is really good; different events in different places are connected seamlessly such that there is no gap in the story. I liked the way the characters are built up slowly, every aspect about them coming to the front as the situation required. The conversations are excellently done as well. 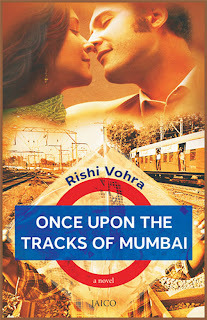 Once Upon the Tracks of Mumbai has a good story; I love it that the love story of this novel isn't stuck with the typical scenes that is the content of every other story these days. Even a far fetched thing like a normal person getting into the shoes of a superhero figure seemed legit. For once, you understand the motive and need behind the transformation as the Rail Man. That part is so well described, you can almost get into the skin of Babloo. I felt as if the Rail Man part needed to be more drawn out, as in a few more incidents that demanded his action so that the seriousness of the matter could seep in. The ending seemed a bit abrupt as well, after such a detailed and well described story, the last part felt a bit hurried. Apart of that, Once Upon The Tracks Of Mumbai is a good read, definitely a book you would want to carry with you on a train journey. Overall, I rate this book 7/10 while looking forward to read more from the author. For more details you can visit the author website here.